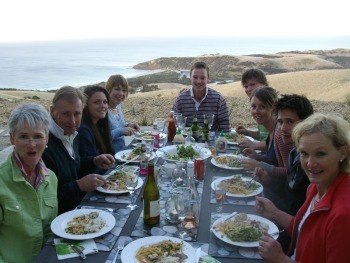 Snellings View is a beautifully appointed beach home located on Kangaroo Island - one of earth's last unspoilt refuges. Snellings comprises two identical wings connected by a central reception-style entrance. 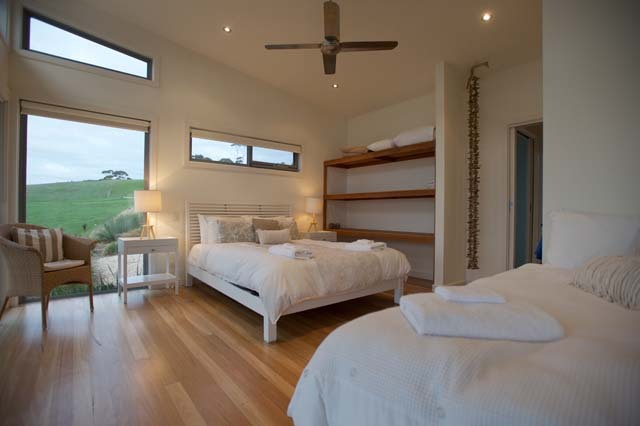 Accommodation is available as shared accommodation for twelve or as private facilities for two to six people. It is ideal for families who want to holiday together. Each luxurious wing contains a queen size master bedroom with ensuite and a second bedroom with queen size bed, single bed with trundle and private ensuite. 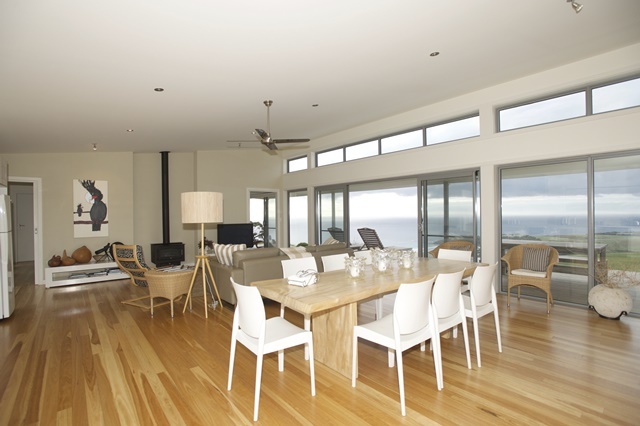 Wide verandahs overlook the pristine coastline, and inside each wing provides a spacious and fully appointed open plan living area superbly finished with natural timber flooring. Snellings is a place to relax and unwind from your busy life. 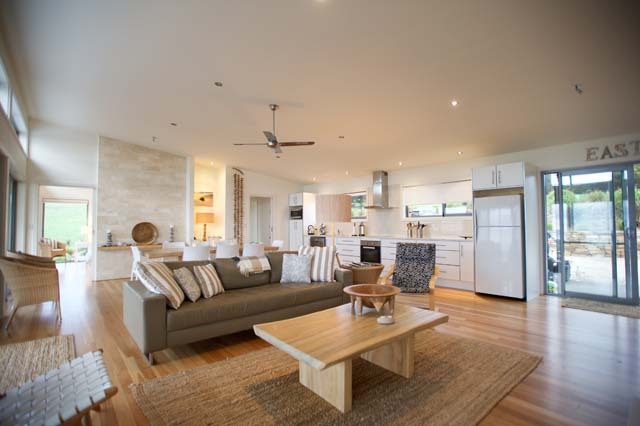 Whilst we offer television and other contemporary amenities, our main focus is on enhancing the sweeping views, embracing the local wildlife and helping you to share quality time with your loved ones. 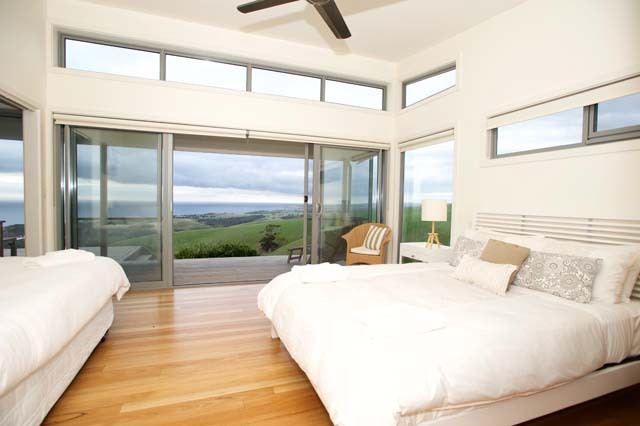 "Snellings View could not have been a better base"
"great ocean view and luxury interior"
Kangaroo Island is located off the coast of South Australia, where the rugged and unspoiled wilderness is interrupted only by sprawling coastline and beautiful private beaches. You can get to Kangaroo Island by land, sea and air.